One year to the day after the Mumbai terror attack, the prosecution in the 26/11 trial is likely to complete evidence against Pakistani gunman Ajmal Kasab and two Indian co-accused Fahim Ansari and Sabahuddin Ahmed. These three, along with 35 Pakistani nationals wanted on Pakistan soil, are accused of conspiring to mount the attacks on 26th November last year. The trial, presided over by Special Sessions Judge M L Tahaliyani, commenced in April inside the special court housed inside the Arthur Road prison. The court framed 86 charges against the three accused on May 6. Two days later, the first witness, Bhaskar Kadam, an officer with the D B Marg police station who was part of the team that captured Kasab, was examined. However, before the trial could begin, there was a major issue who would defend Kasab as lawyers did not want to take up his case on account of 'morals' and political pressures. The court first appointed Anjali Waghmare as defence lawyer from the state legal aid panel, but Judge Tahaliyani sacked her on charges of professional misconduct. Soon after, the court appointed private lawyer Abbas Kazmi, who had earlier represented the accused in the 1993 serial bomb blast case, to defend Kasab. The court also recommended higher legal fees to be paid to him by the state government and handed over the 10,000-page chargesheet to him. Immediately after taking charge, Kazmi prayed before the court that Kasab was a juvenile, and that his case should be transferred to the Juvenile Justice Board. In reply, the prosecution conducted several medical tests and examined witnesses to prove that Kasab was 21-year-old at the time of the attack. As the prosecution examined evidence in the form of injured victims and relatives of deceased, Kasab on July 20 made a request to the court for making a detailed statement accepting all charges levelled against him. In a guilty plea given by Kasab over two days, he gave details about training in handling arms and ammunition and intelligence gathering given to him in Pakistan, and also about the directions given to him on executing the attack along with his nine deceased accomplices. After due consideration, the court took Kasab's plea on record but carried on with the trial. Since then, the prosecution has examined 270 witnesses and is likely to rest its case against the accused today. It is also likely to submit evidence of around 300 formal witnesses in the form of affidavits. 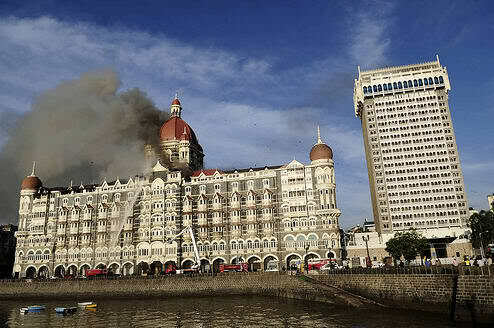 The goof-upsThe evidence led by the prosecution might have made the case watertight, but several goof-ups did crop up while doing so Inspector Prakash Bhoite, who investigated the attack on the Taj Hotel, told the court that the police had found two bombs near the hotel during the attack and one contained a note which said "Ammar Askari". A translator used by the police translated it as "Yeh jang ki or ishara hai" or "This is a pointer to war". However, when the defense lawyer cross-examined the translator Mukhtar Pirzade, an insurance agent in Bhiwandi, it was placed on record that he could not read or write Arabic, and that a friend had translated the note for him. No further probes were conducted by the Mumbai Police Crime Branch on the identity of Suresh Prasad, who had submitted a fake electricity bill to procure the mobile SIM card that was used by the terrorists in the Taj Hotel to communicate with their handlers in Pakistan. Police Inspector Manikrao Patil of Colaba police station, who conducted the preliminary investigations at three attack sites (the Taj Hotel, Nariman House and Caf Leopold) and seized various articles handed over to him by the National Security Guards (NSG), failed to recall in the court the accurate details of the seizures made by him. Patil was also the officer responsible for goof up during the seizure of articles by placing articles seized from the Taj Hotel in wrappers meant for Nariman House and vice versa. He cited work pressure after the attack as the reason behind the error. Rate or comment on this Post please, So that we can serve you better.